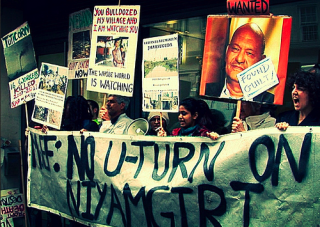 Saving Iceland » People’s Victory Costs Vedanta $10 Billion at Niyamgiri! 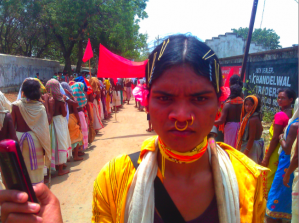 People’s Victory Costs Vedanta $10 Billion at Niyamgiri! On Saturday 11th January the Ministry of Environment and Forests finally gave its statement formally rejecting permission for Vedanta’s Niyamgiri mine. This move brings a conclusive end to the ten year struggle of the Dongria Kond tribe, alongside local farmers and dalits, to prevent the mining of this sacred mountain range which is their livelihood. Saving Iceland has followed the struggle and supported our comrades at Foil Vedanta as part of the global solidarity campaign which helped win this unique victory. The ruling against the mine is being hailed as a precedent victory for grassroots democracy, after Supreme Court judges initiated a referendum on the mine last summer in which every inhabitant of twelve villages on the mountain voted against the project, giving passionate speeches against the company and the Odisha government. 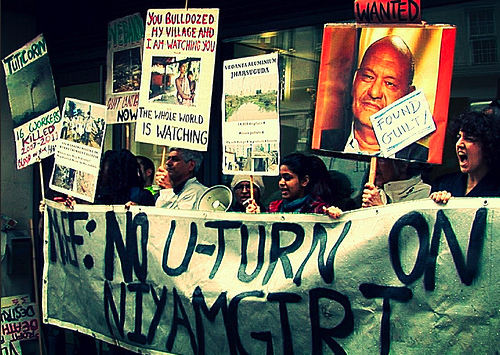 Anil Agarwal had built the Lanjigarh refinery at the foot of Niyamgiri mountain, and even expanded it sixfold, so sure was he that he would gain permission to mine despite the local inhabitants’ dissent. In November 2004 he even used a Financial Times article to mislead investors and create confidence, by claiming that he already had permission to mine the mountain. The misleading FT article is typical of the many ways in which the British government has propped up this contentious company, which is increasingly criticised by even such high profile figures as the former head of the Confederation of British Industries (CBI) Richard Lambert – who accused it of violating human rights and corporate governance norms and using its London listing to improve its reputation. Foil Vedanta is now calling for Vedanta to be de-listed from the UK Stock Exchange in recognition of their catalogue of human rights and environmental abuses at every one of their operations across India and Africa, as well as corruption, tax evasion and violations of corporate governance. Foil Vedanta have recently published a comprehensive report on the company’s Zambian copper mining subsidiary KCM http://www.foilvedanta.org/articles/copp…) which has cost the Zambian exchequer billions of dollars in lost tax, as well as polluting and mistreating workers relentlessly. Meanwhile the company are facing hard times as low share prices officially demoted them from the FTSE 100 to the FTSE 250 this December, removing their ‘blue chip’ status. 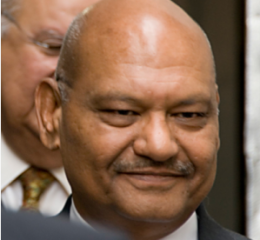 In a panic Anil Agarwal (majority owner and Chairman) began to buy back as many shares as possible to increase the share price and save the company. He bought 1.7 million shares on Dec 19th, and another 3.5 million on Dec 24th, through his holding company Volcan Investments Ltd, which is based in the Bahamas, a UK controlled tax haven. A little later his new Executive, Tom Albanese (formerly Rio Tinto CEO who was pushing the aluminium industry on Iceland), also bought a large chunk of shares. But it was too late and the company slumped to the FTSE 250 nonetheless. This makes Anil Agarwal now the 67.99% owner of Vedanta Resources, a violation of corporate governance norms for a listed public company. Agarwal is now trying to keep his investors happy by claiming he will get bauxite to keep his refinery alive from another source in Odisha, but there are no immediate options available and activists are demanding the decommissioning of the Lanjigarh refinery, which has repeatedly spilled toxic red mud in local streams and polluted the surrounding villages.